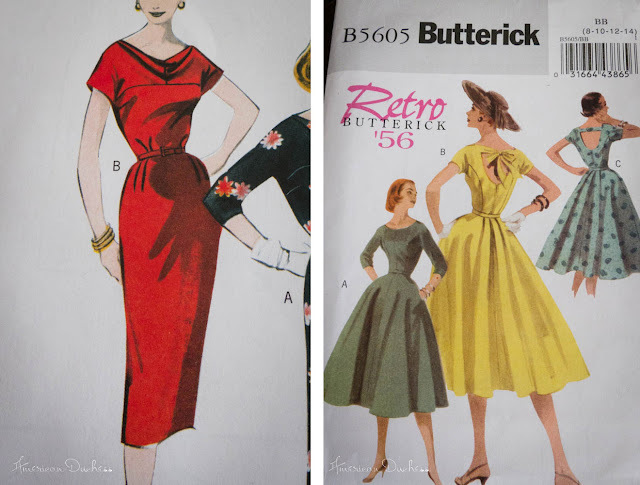 Okay, so maybe Butterick patterns were on sale for 99 cents at JoAnn's the other day, and...and maybe I bought a whole bunch of Vintage Butterick reproduction patterns. I have a weakness...for 99 cent patterns, sure, but also for the vintage repro patterns that Simplicity, Vogue, and Butterick produce. 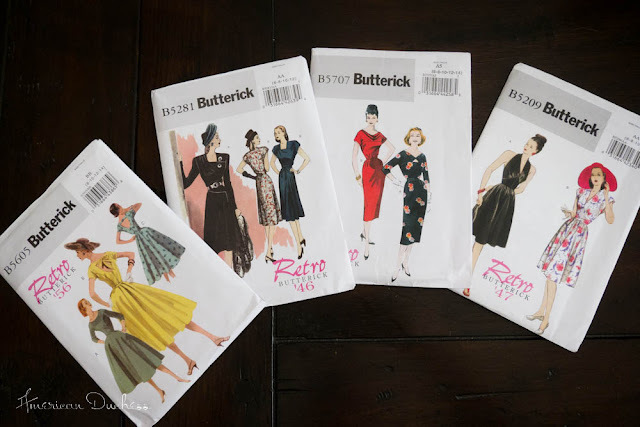 I don't usually go for Butterick patterns - fit funny on me - but there were just so many cute ones I couldn't resist! I would have bought MORE if they'd had them all in my size packet. The problem is that I have a lot of these, and more than I'm showing you here. I have at least 6 Vintage Vogue patterns, several vintage Simplicities, and a whole mess of genuine vintage patterns, mostly from the 50s. 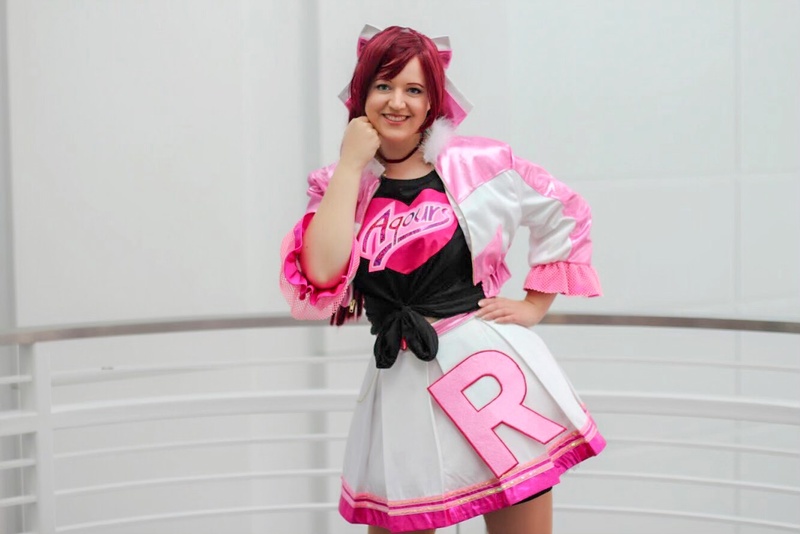 I've only ever made up two of the repro patterns! I keep buying them, then not making them into dresses! I'm getting more into the 40s lately. I don't have many original 40s patterns, so I thought I'd try these out. I also got the Butterick fitting shell. I read about fitting shells in The Perfect Fit: The Classic Guide to Altering Patterns , and a little online. Basically the fitting shell is the master pattern block for Butterick. Vogue also makes one - apparently it's exactly the same. 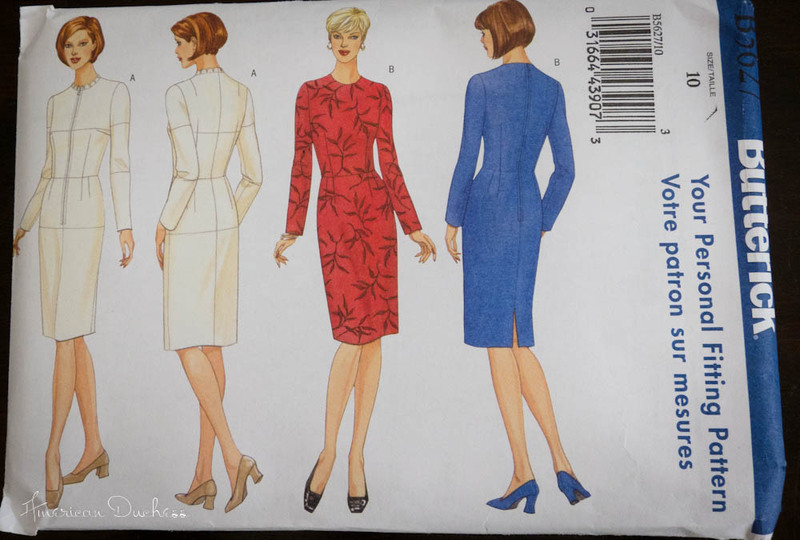 You are supposed to fit this thing to you, following the adjustment guide in the instructions, record all your alterations, then make those same alterations on every Butterick pattern you sew with henceforth. I'm planning to use it as a general fitting block for future patterns I make myself. I hope it will be handy, especially when working out the armscyes, sleeveheads, and collars. So now I've got all these new patterns...guess I'd better start sewing! Melinda, did you have to make a lot of changes? I tend to "alter on the form," but that only works when the pattern has enough ease factored in to do some tailoring, not if I've cut it too small, haha. Story of my life, Lauren! 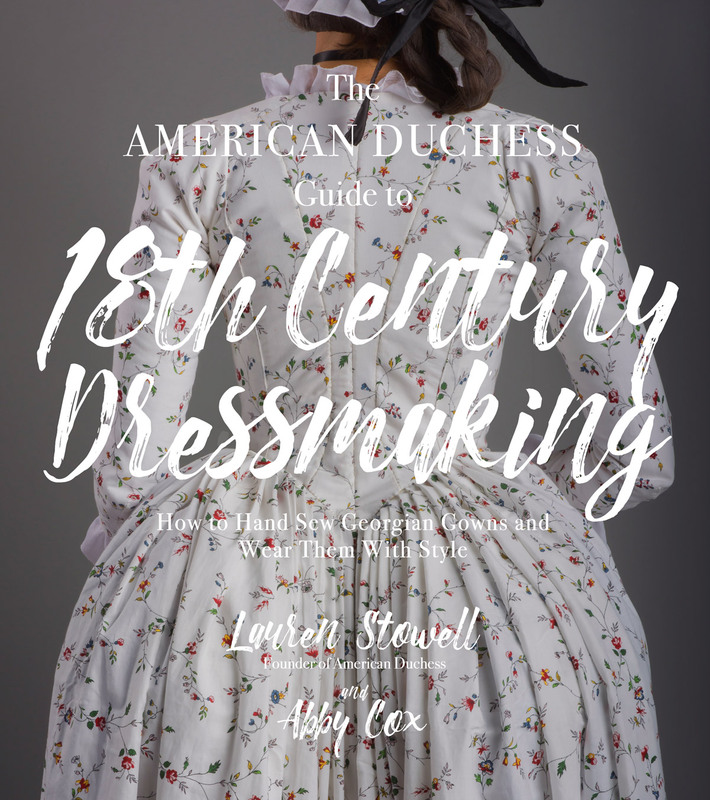 I have a tendency to buy more repro and vintage patterns than I could ever sew in the next few years put together! We're just horders, lol. We can't help it. 99 cent patterns are both wonderful and evil at the same time. Evil because how can you resist buying them all even though you know you wont make them all. But wonderful because you can buy lots and lots without feeling to guilty about spending money on patterns you might never use. I think it's the delusion of honestly thinking I *will* make it...some day. That some day turns into "some year," or "some decade." But I don't want to miss the sale!! I also have a weakness or on sale patterns. I tend to buy them in case I need them one day, and then I use the same few ones over and over again as a base to modify and make them into what I need. I notice I do that too - use the same ones, then never touch some of the others. Wonder why it is..
Oooh - I, too, love the vintage reproductions! I am just sorry that I missed the early years. I keep finding highly priced ones from the late 1990s and early 2000s that are truly lovely and that I missed purchasing at a sale price. My only issue is that they keep producing the relatively simple designs - whatever happened to all those Vogue Couturier patterns?! Then again, like you, I have more patterns than I know what to do with. You're right, the designs really ARE simple. I was kindof disappointed in the 50s patterns (even though I bought two of them anyway), because they don't seem to offer some of those cool 50s details we find on the originals. So I think it's good you buy them now when they're available and cheap. :-) The ones you picked are lovely, B5707 always looked quite tempting to me. I don't have Vogue 2476, but I bet some sellers on Etsy will have it. I veer away from Vogue unless they're doing a sale...I say this, of course, as I'm putting together a Vintage Vogue from 1933, lol. It was on sale. A little about fitting and pattern companies, just so you don't get super frustrated. Both Vogue and Butterick are equivalent to junior sizes in general fit on the body (short waisted, less full bust). I forgot if McCall's or Simplicity makes a fitting shell, but you will find that McCall's patterns fit a little too generously and Simplicity is probably closer to American off the rack fit. (Everyone remember the pattern mantra and buy according to your measurements and not your dress size.) Style, New Look and Burda all have a European style fit that is longer in the waist and allows a little more room in the bust, armscye, and shoulder, without being too baggy. If you can find the gridded pattern cloth (check the grids to make sure that they are exactly one inch square - or use gingham that is exactly one inch square) to make your shells, then you can see what is going on with the pattern when you adjust for fit. Vintage reissue tip: remember also that these vintage reissues are done on modern slopers, so you probably won't have to go up sizes like you would with a vintage pattern. 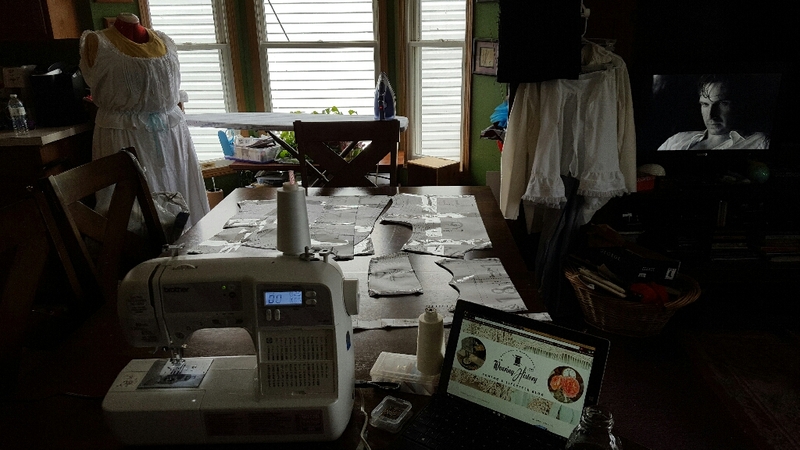 Start with a muslin and save yourself headaches, especially if you are using vintage or expensive fabric. I tend to make my muslins in bargain fabric that is similar to what I will use in the end and is nice looking - that way if by some chance the first version fits well, I have two dresses instead of one. 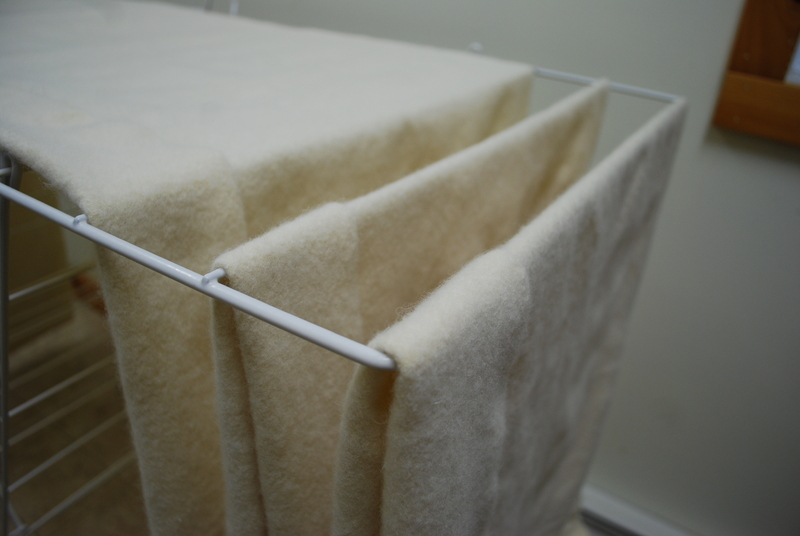 If you really want the look of vintage clothing, use sew-in woven interfacing or broadcloth, not fusible interfacing. 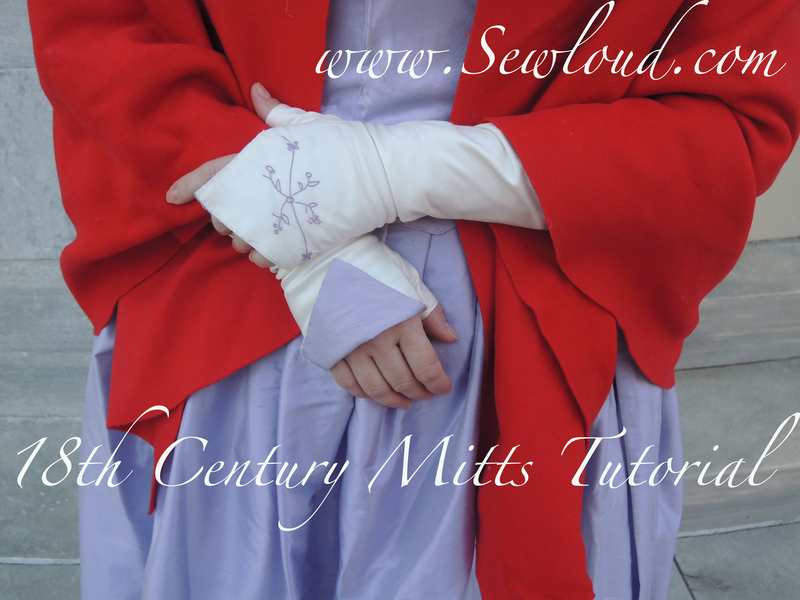 Brush up on your tailoring techniques, and press, press, press - every seam! The stitchers in the past didn't use as many shortcuts as we do now, and their clothes look and wear differently than ours do. My favorite seam finish is a Hong Kong finish. It looks really nice, and is more period for professionally tailored garments than a serged finish. Thank you SO much! This makes perfect sense, especially as to why the Butterick patterns I've used in the past never...ever...ever fit me through the waist. Of course! Simplicity has the best fit for me, but I always have to a whole size down that what the envelope says - to a 10 instead of a 12 - because they factor in loads of ease. I will do a muslin for these...I don't trust them. 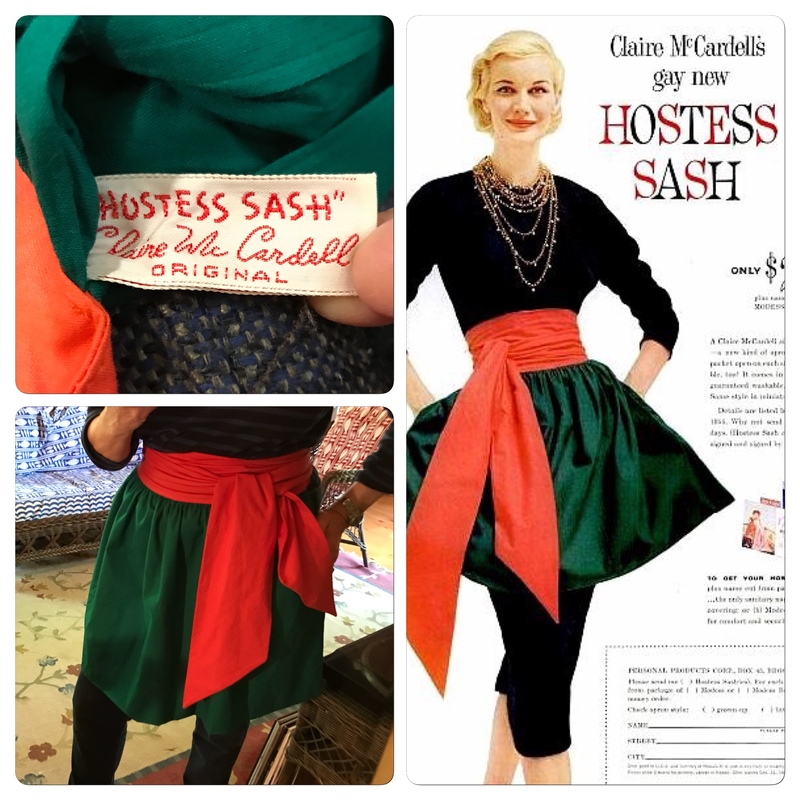 I knew the re-issued vintage patterns were done on modern slopers, a blessing and a curse. I was thinking of factoring in some vintage tailoring techniques to add back in all the vintage-ness they "take out" of these repros. I do the same thing--I mean, when they're 99 cents, why not? :) I've made the 40s halter style--went together pretty easily and I didn't have any major fitting issues (though the bodice front was a touch finicky as I did want to adjust how low the neckline was). I love that this pattern (and others from the line) would look awesome done in formal fabrics for dress wear or fun cottons for sundresses! Rowenna, thank you for the tip about the 40s halter neckline. I will make a note about it on the pattern. I like KittyKat's comment. 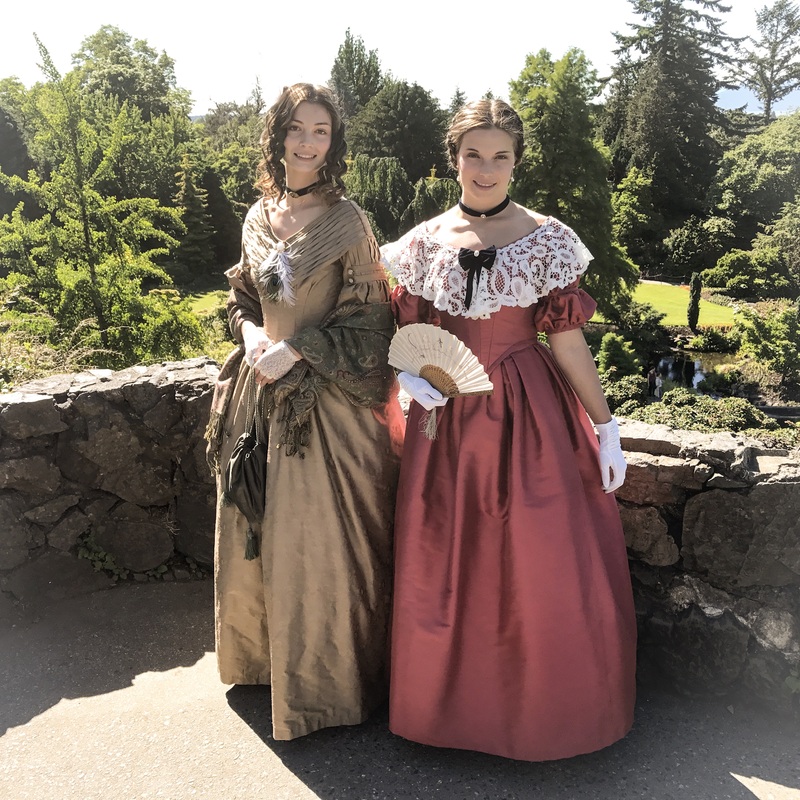 I haven't made many modern patterns (I do mostly historical and vintage), but when I have, the Butterick and Vogue *do* fit me well - when I throw out the size chart and go by the garment measurements printed on the pattern tissue! Example: I made a Butterick re-issue 1950s of halter-look circle skirt/wrap bodice evening dress. The new sloper/grading standards meant that 1.5" was added to the WAIST measurement. So the size for a 28" waist measured 29.5", totally unacceptable for a New Look-style dress. But going down a size worked perfectly for me. I'm also slightly small-busted, so I didn't have to adjust anything else. I end up using different sizes for different parts of my body. For example, for a Butterick corset I found I'm a size 10 CF, size 8 side front, size 10 side back, and size 12 CB. The size 12 is supposed to be my all-over size according to the pattern chart. Not so much. I hope the pattern block will give me some insight. Please post your experience with it, I'd love to know what you learn from it. Artemisia, that's really interesting about your corset pattern. It's nice that they have multiple sizes on the pattern tissue, so you can shift between waist/bust/hip as needed. So helpful. That's one thing about the original vintage patterns that can be a bit frustrating - only one size in your envelope! 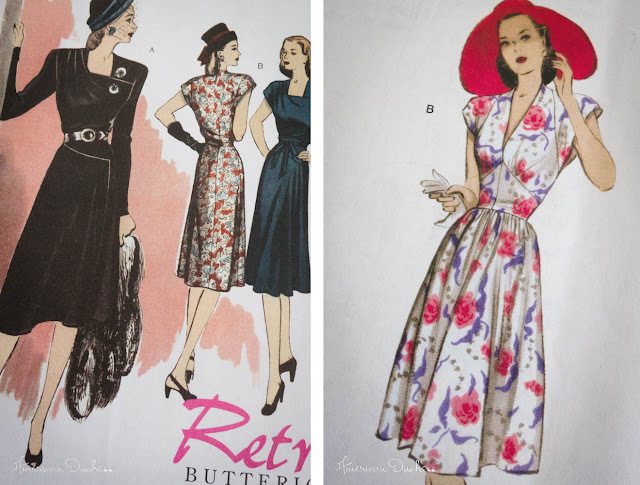 I think I'd best do the Butterick fitting shell before I cut into any of these vintage repro patterns. I will definitely blog about it. you know, everything you posted is just what i do.....let me know how the Butterick fitting shell thing-y work out for you. i too need to do the same but am afraid i'll mess it all up. 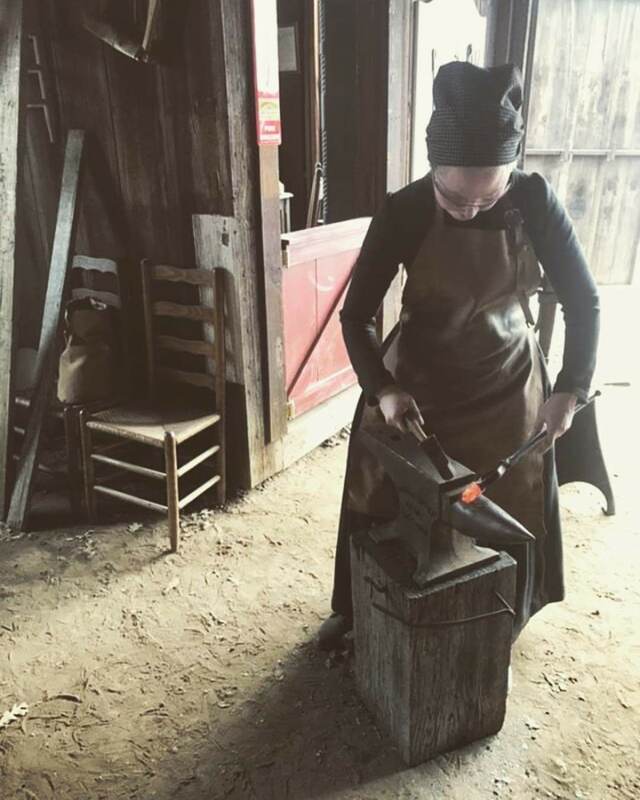 i'm a 36e and it is sooo hard for me to make things for myself. i think i'm gonna take a class or 12 to learn how to sew without fear. When I made up the white floral dress (in the other view) I altered the pattern construction, joining each bodice piece to the midriff piece then sewing up through the centre. It sorts out the trick of pivoting at that middle point, which seems to cause it to twist on every make I've seen online. 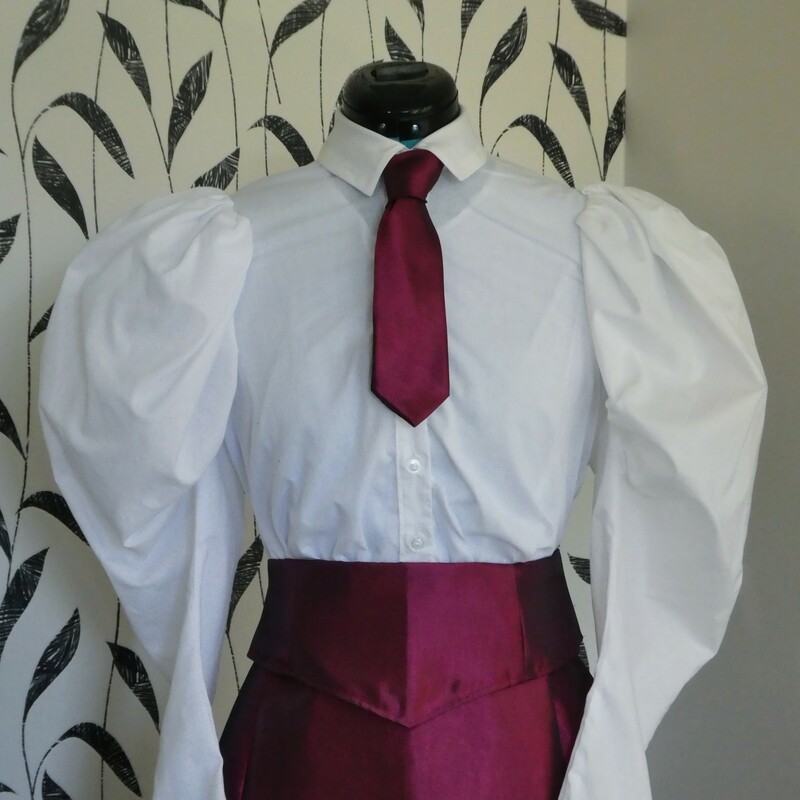 Oh, I shall avoid the neckline weirdness! I've had it on some other 40s pattern too. I like your solution. I'll make a note on the pattern.